The briefing has been delayed because the White House is on lockdown for the second day in a row due to a suspicious package left on the street. 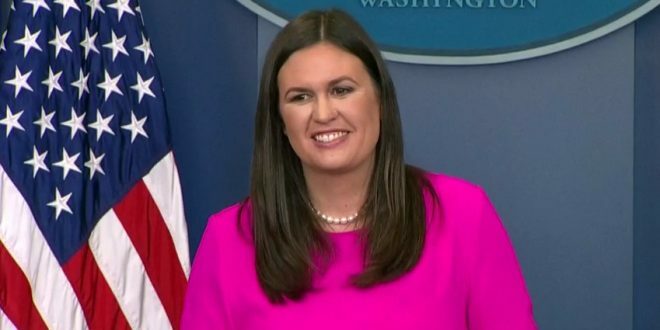 White House Press Secretary Sarah Huckabee Sanders will deliver a briefing for reporters on Tuesday afternoon. The White House is currently facing question about a report in the Wall Street Journal that President Trump’s lawyers encouraged him to fire his son-in-law Jared Kushner over his repeated meetings, some undisclosed, with Russians. Trump’s lawyers have denied the report. The president’s choice to hire family members at the White House has been a continued source of criticism.